The Minority in Parliament has impressed on President Nana Akufo-Addo to clarify if his New Patriotic Party government will be using the Heritage Fund to fund the Senior High School policy following what it calls conflicting signals from his officials. There was a suggestion from the Senior Minister Yaw Osafo-Maafo that government would consider reviewing the Petroleum Revenue Management Act to allow for the use of the Heritage Fund to finance the free SHS policy. 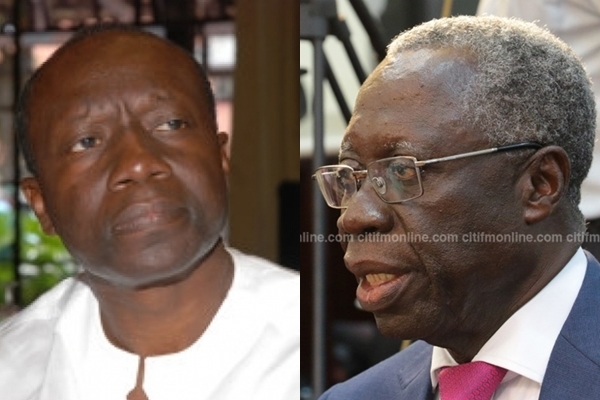 But the Minister of Finance, Ken Ofori Atta refuted the suggestion, saying government would be financing the free SHS policy without touching the Heritage Fund which is said to have under $300 million in it. The minority in a statement signed by its Deputy Leader, James Afedzi, said the contradictions were an indication of confusion within the government hence its call to President Akufo-Addo to expatiate further. The then presidential candidate of the New Patriotic Party-NPP and now President, Nana Akufo-Addo, on Thursday 3rd February, 2011, made the following statement in reaction to suggestions by the then ruling NDC to collateralize the oil revenue (Specifically Heritage Fund). “He said; “The party supports the establishment of a Heritage Fund as proposed in the bill and encourages Parliament to provide the necessary precautions to ensure that its value is not eroded over time. It is important to remind ourselves that the principle underpinning the creation of a Heritage Fund is to provide for future generations whereas the principle of collateralize is to “make hay while the sun shines” or “to have your lunch and dinner at breakfast”.